Hip-hop is continually giving more credence to scenes that have not necessarily been instrumental in its inception. Cue Chicago, a city with an emerging rap scene that&apos;s garnering more respect with every project, song and video released. 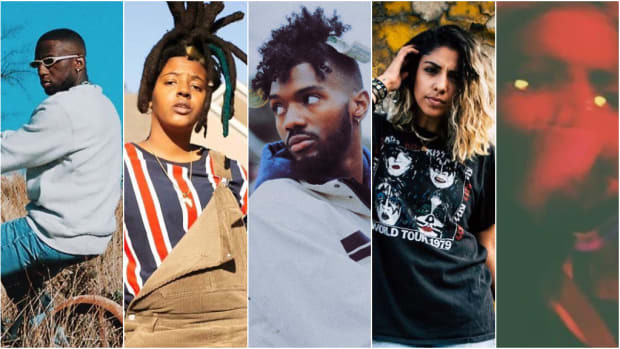 Almost every day, it seems like Chicago births a new artist or emcee to watch for—rappers, singers, and producers who have been sculpted early-on by the city’s poetry and open mic scenes, or who have seen their friends transform into musicians and decided to play a part themselves. While Chicago is no stranger to music—blues and electronic dance music found their roots in the city—2016 has been a big year for the third coast, and the city has been busy racking up its rap accolades: Wunderkind Chance The Rapper has become a veritable phenom, turning himself into a global superstar with the release of Coloring Book. Emcee Mick Jenkins has been steadily releasing a new project every year since 2014, the latest of which is the diverse, love-themed album The Healing Component. 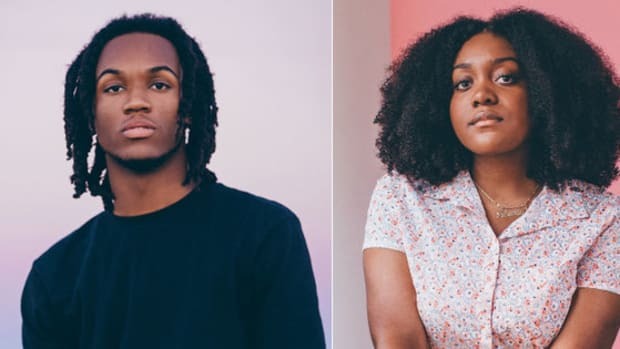 Last year, Chance tapped rapper Saba for his single “Angels”; now, Saba’s rise is ever-imminent, particularly as we wait with bated breath for his forthcoming tape, Bucket List Project. And let’s not forget about SaveMoney frontman Vic Mensa, who released his first EP post-signing to Roc Nation this summer, There’s Alot Going On. While every artist on the list below isn’t a rapper, they are absolutely connected to, and a result of, Chicago hip-hop. 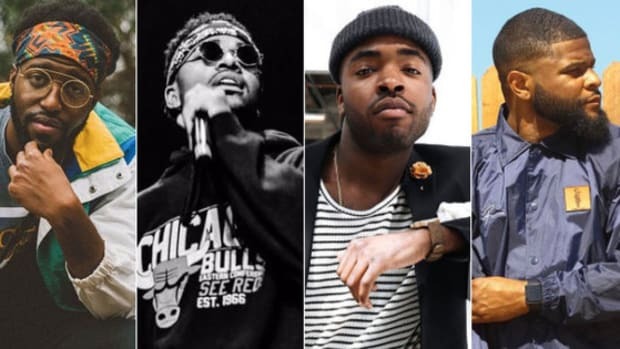 Here, we present 5 Chicago Artists Who Could Blow Up in 2017. There must be something in the water. From the outset, theMIND has been something of an enigma. He’s the first voice we hear on Mick Jenkins’ 2014 project The Water[s]. On “Shipwrecked,” he sings, “Witnessed the end of our fair lady / A million pieces lost at sea / Ruined is the crew / That&apos;s setting sail with me.” But, at that time, most of us were still unfamiliar with theMIND. 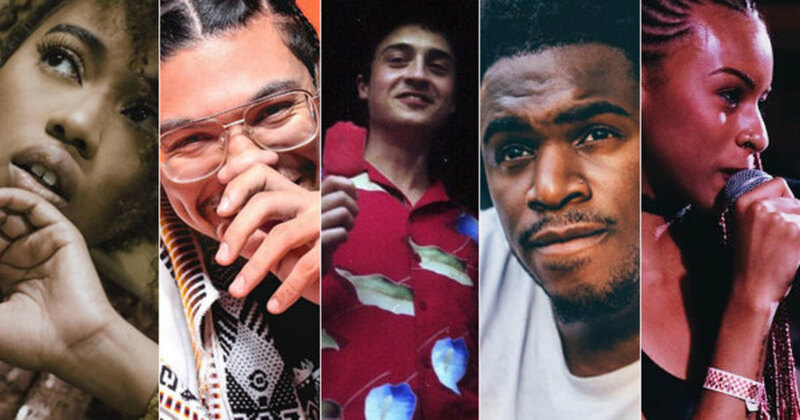 Since The Water[s], the Chicago-via-Philadelphia singer—born Zarif Wilder—has continued to frequently collaborate with Jenkins, as well as Noname, THEMpeople, Joey Purp, Kirk Knight and Stefan Ponce, among others. Wilder finally offered up his own narrative this year, in the form of his debut, Summer Camp. Indeed, the 11-track project serves as his introduction—but it also marks his rebirth as a singer. While Wilder still borders on ambiguity—his motif isn’t often blatant or literal—his warmth exudes throughout the tape, a characteristic that’s palpable even when he’s melancholic or pensive. What urges me to keep revisiting Summer Camp is that warmth; and also that, with every listen, there’s another layer to peel back—Wilder asks you to keep digging. Jean Deaux first caught my eye last fall, specifically with the song “Act Right (Saturn’s Return)” from her three-song EP Outer Body. Though she’s been making music for a handful of years, she’s only recently come into the foreground and really marked her territory. Shaping your aesthetic undoubtedly takes time. During such a period, many artists like to experiment with different sounds and flows, a kind of trial and error system that sometimes yields only mildly successful material. But Deaux has an ability to mold her voice around a song, almost effortlessly. Chicago’s poetry and open mic scenes have bred some of our favorite musicians. Vocalist, producer, and engineer L.A. VanGogh is another product of those scenes—and one who’s fiercely autonomous. This year, as one-half of safeNsound—a production outfit that has now morphed into an arts collective—he released safeNsound presents L.A. VanGogh, a tape that has helped track his musical evolution. 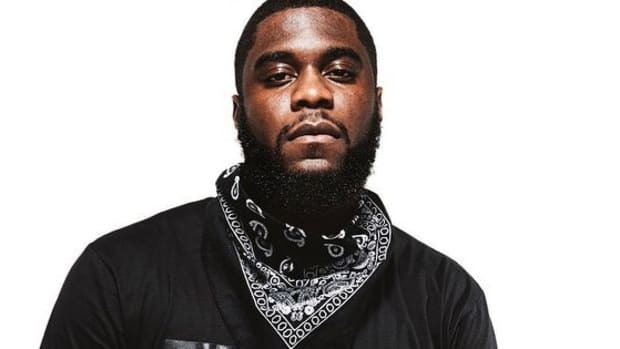 With the project, he learned how to better play with others, shedding some of his independence to work with his safeNsound partner, producer Ambi Lyrics. In hip-hop, it’s important that you stake your claim and build a narrative. L.A. used safeNsound to frame his story, designing his lyrical content with a poet’s eye, and giving as much precedence to raps as to his melodies. 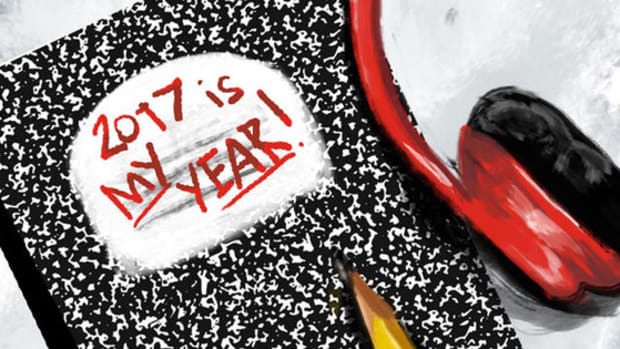 When you’re young, hungry and able to start your music career early, there is always room—and time—for growth. Those ingredients have been elemental for 17-year-old songstress Ravyn Lenae, who made her debut last summer with her EP Moon Shoes. Lenae brings a delicate and genuine youthfulness to her project, particularly on standout tracks like “Blossom Dearie” and “Free Room.” The airy quality of Moon Shoes feels like the Chicago singer has pulled you into one long daydream, where she navigates love, relationships, and her adolescence—certainly everything that a teenager is meant to explore. Producer Knox Fortune has a few tricks up his sleeve. While he fully demonstrated his producer chops in 2016, crafting beats for Vic Mensa, theMIND, Towkio, Chance The Rapper and Joey Purp—Purp’s “Girls @” is one of Knox’s most notable records—we’ve also seen Knox step out from the background and get behind the mic. It was a surprise when, in March, Knox quietly made his debut with the song “Seaglass,” a dissonant, wistful track that shed new light on the SaveMoney producer. He made his more substantive debut to the masses when he guested on Chance the Rapper’s Coloring Book song “All Night,” serenading us during the chorus. Most recently, he also sang background vocals for Chicago-based artist Home-Sick, who released his own debut single “Your Body” earlier this month. You can ask Purp, but it appears that we have a pop star in the making, and maybe the next SaveMoney member to break. Saba & Noname Showcase a Different Side of Chicago on "Church / Liquor Store"
The Pivot Gang member pushes the confines of Chicago rap, much of which has been staked on the South Side. 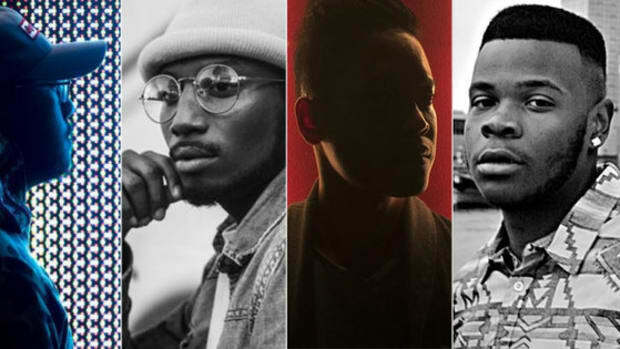 Four more must-hear artists, all under 1,000 followers. 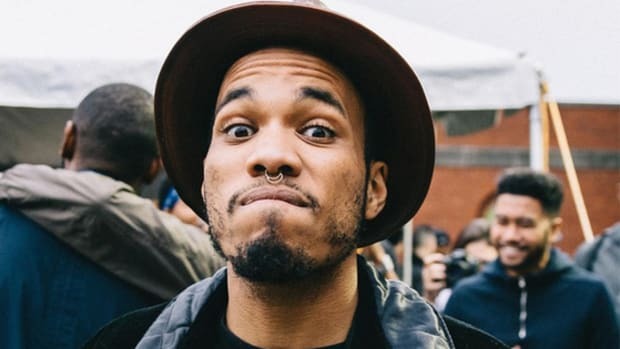 I knew that Anderson .Paak was going to blow years ago - it feels so good to be right. 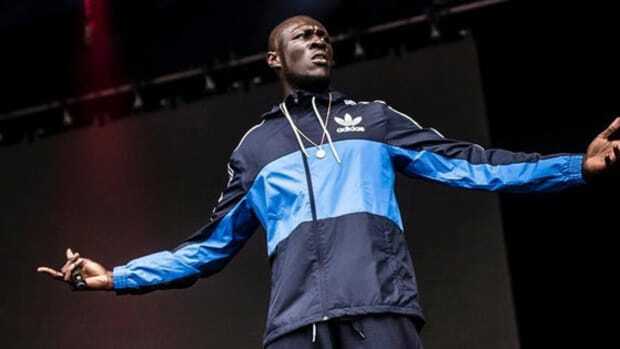 "The most urgent British music subculture since punk" has not yet found a home stateside.